Competency tests are a great way to narrow the funnel of candidates, but they don’t give you a sense of the person behind the scores. Phone screening has filled the gap, but it takes lots of time and staff-hours to schedule, coordinate and evaluate. Plus, it’s audio only, so you miss out on how candidates present themselves. 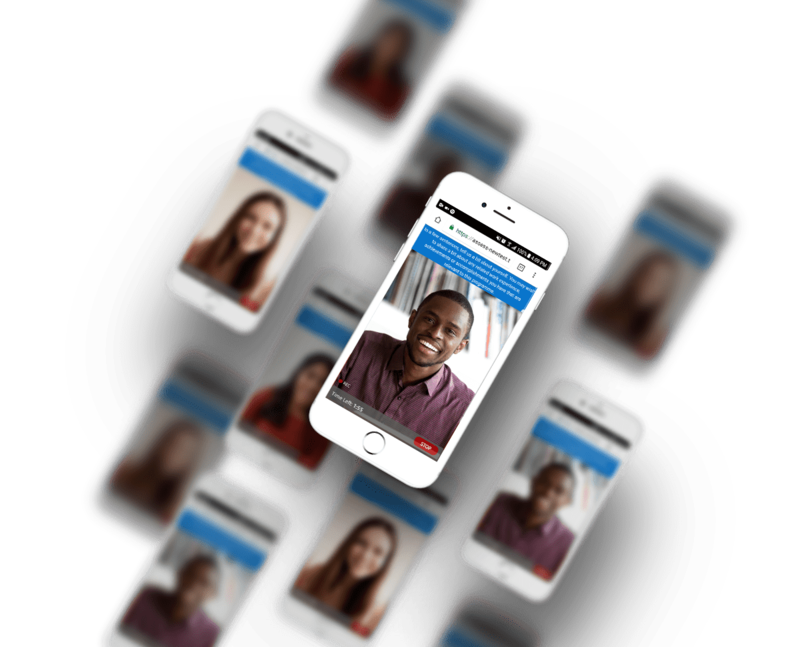 Built into our existing competency-based pre-screening assessment, Talegent Video Interview Screening fully integrates into your HR applicant tracking system. Candidates complete your selected personality or ability test modules and the video interview together and you get the results for both together in a single step. That can save you an incredible amount of time in your recruiting process—and help you lock up the best candidates first. Set your own questions, preparation times, and time limits. Candidates can complete the combined competency and video interview online prescreening test in a single sitting. Candidates can record at any time, you can review at any time. Video interview results are included in the overall ranked results and fully integrates in your ATS.